Mary Hess practices primarily in the area of tort litigation, defending personal injury and wrongful death cases, premises liability cases including construction defect and mold, along with products liability and criminal attack cases. A skilled trial lawyer, Ms. Hess has resolved cases through traditional litigation, as well as arbitration and mediation. Her national client base ranges from Fortune 500 companies to privately owned companies. Ms. Hess is a key member of a national defense team for one of the firm’s largest self-insured clients, requiring pro hac representation throughout the country. Ms. Hess has also defended, and served as consulting attorney in a variety of environmental cases in the areas of indoor air quality, “sick building syndrome” and multiple chemical sensitivity. Her hands-on background in these issues includes her experience from having received a Certificate of Completion for attending a Mold Remediation Workshop. 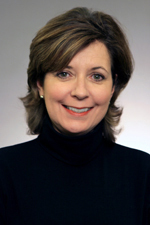 Ms. Hess joined Hinshaw & Culbertson LLP in August 1991. During her tenure with the firm, she has contributed significantly to the growth and management of the firm. Ms. Hess co-chairs the Education Committee for associates, and serves as an instructor for Hinshaw University. She is the firm’s Hiring Chair and has served on the firm's Hiring Committee for several years. She also manages the paralegal program. Ms. Hess is a past member of the firm’s Executive Committee. Selected as "Women Making an Impact" Chicago Lawyer, 2013. Presenter at the Hinshaw & Culbertson LLP 10th Annual Litigation Strategies Symposium, October 1998. Co-authored the article, "Mold: The Risk and the Reality," Mealey's Litigation Report, December 2001.